Sometimes there can be confusion about a problem that involves water and heating – do I need a plumber or an electrician? If there is an obvious leak then a plumber is definitely going to be most useful to you. If your electrical hot water system fails completely or you are having a problem with it, there may be a broken or faulty element in your immersion heater, in which case you will need to call an electrician to repair or replace it. Knowing who to call can help save a lot of money as recommendations made by unqualified tradespeople – such as replacing an entire heating system – may not be valid at all. The electricians at Cromer Electrical have a great deal of experience with the broad range of water heating elements that currently exist in boilers old and new, in Cromer itself and across Norfolk as a whole. They are particularly well placed to offer advice on what to do about faulty heating elements and whether these should be repaired or replaced. Inefficient hot water systems, underperforming immersion heaters and faulty heating elements all require the services of an expert electrician, so come to Cromer Electrical for help and a solution. Check our contact page for the phone number or send us a message from the website. We have been working throughout Norfolk for many years and have acquired an enviable reputation as a trustworthy and reliable company. 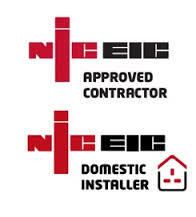 Our team of expert electricians are fully qualified and can assist you with any problem of an electrical nature. As we work with both commercial and domestic clients, and have a 24-hour call-out service seven days a week, you don’t have to be without power for too long – we will respond immediately and act quickly.